The Hummelstown Area Historical Society is staging The Art of Giving as its 2019 Winter Show. The Show features 14 exhibits, each of which demonstrate some expression of arts or crafts which were given as gifts, rather than sold to family, friends, organizations, and even the community. The Show is staged in the Society’s History House at 32 West Main Street, Hummelstown. The History House was built in 1908 and retains its original fireplaces, lights, original oak wood finishes, and cabinets. The charm of the rooms makes the History House a fitting place for exhibits which showcase the generosity as well as talents of artists and craftsmen. Plan to attend the Show and invite your friends and family members to attend this unusual staging of gifted arts and crafts. There is no charge for admission, but donations are appreciated to defray expenses. If you have any questions or would like to schedule a special tour, please call Josie Downey, the Society’s Office Manager at 717-566-6314 or Wade Seibert 717-919-0509. 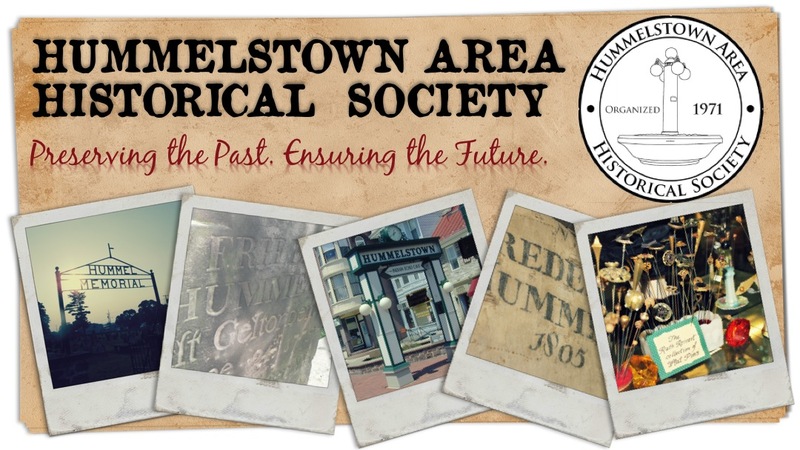 As a non-profit, educational institution, the Hummelstown Area Historical Society relies on the generous support of individuals, businesses, foundations, and local and state governments to fund our programs. Copyright © 2019 Hummelstown Area Historical Society. Powered by WordPress. Theme: Spacious by ThemeGrill.